When he stops barking to sniff the treat, praise him and give him the treat. Repeat until he starts barking as soon as you say "speak." Once your dog can reliably bark on command, teach him the "quiet" command. In a calm environment with no distractions, tell him to "speak." Bark on command. Another approach that can work is to teach your dog to bark on command, or â€œspeak,â€ and then command him to be quiet. If you use treats or even verbal praise â€“ do wait a few seconds after dog has finished barking before rewarding him. Recall. Recall. 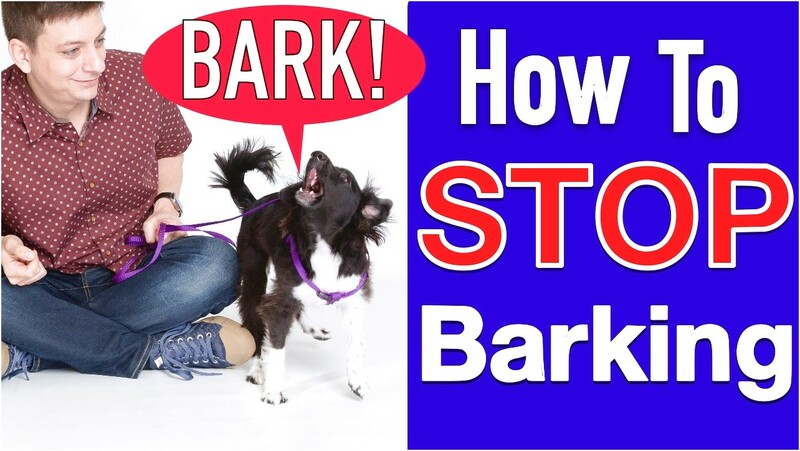 Useful to call your dog away from barking triggers (like the doorbell ringing, or a neighbor dog outside) â€œSpeak.â€ Yup, training your dog to bark on command can help teach them not to bark at other times, especially when paired with the next command on this list. â€œSettle: or â€œquiet.â€ Sit/stay.